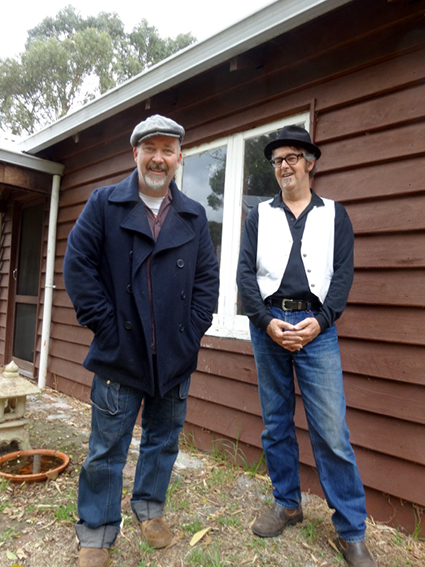 Cool Hand are an acoustic blues, bluegrass and ragtime duo featuring accomplished Albany musician Peter Barry on Dobro slide, guitar and vocals and awarded and WAMI nominated Porongurup singer songwriter Dave Taylor on vocal, guitar, mandolin and ukulele. Peter and Dave’s varied tastes and talents combine in music that is bluesy but melodic, intimate but toe tappingly up tempo and original yet familiar. Cool Hand play regularly around Albany and the Great Southern and were featured at the Albany Entertainment Centre as part of the Harbourside concert series of 2014. Image courtesy of Cool Hand.